IMPORTANT: This project is only available for partners involved in our current Vocational Educational Training applications. 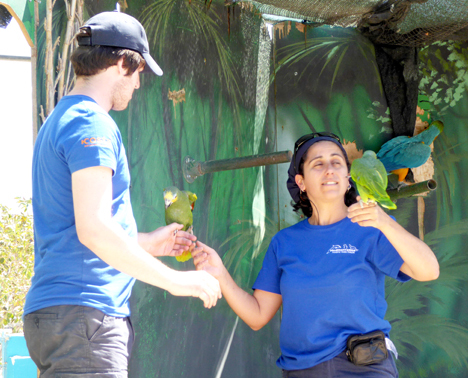 The Mediterraneo Park is a Marine Park with dolphins, sea lions, reptiles and birds. Trainees will be working alongside fulltime experienced staff to help run the park primarily concentrating on the upkeep and welfare of the hosted animals. Support staff in the birds and reptiles department. Cleaning cages, ensuring the comfort and safety of the birds and reptiles. Preparation of animals’ diet and feeding them. The history of Malta has been shaped by its strategic location and perfect harbour setting. Malta has a very rich history. From the ancient Carthaginians to the Normans and the French, all the major forces in history have ruled Malta at some point. The hand of British rule touched Malta when they ousted the French in the early 1800s and still the majority of people speak English. During the time of British rule the Maltese had their fill of being governed and began to fight for independence. Their plea for political freedom was only granted in 1964 and soon after, it became a republic.